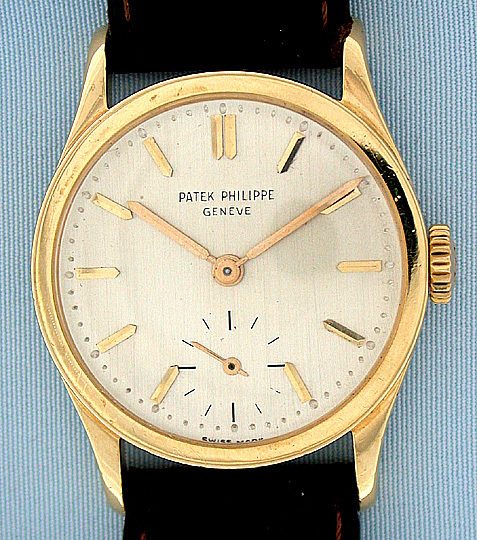 Patek Philippe reference 96 Calatrava 18K gold vintage wrist watch circa 1961. Resilvered satin silver dial with hard enamel markings and applied baton markers. 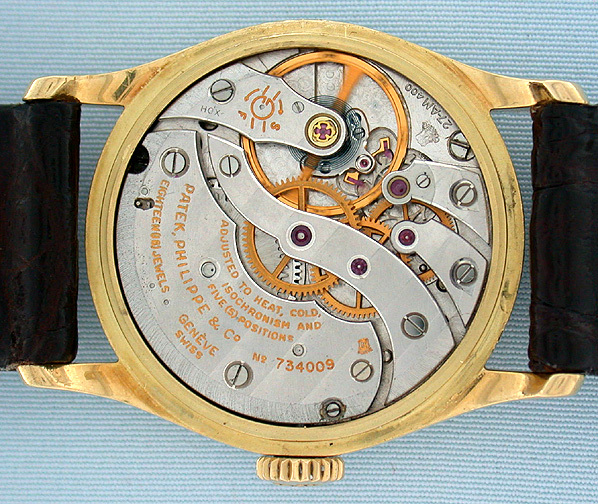 Scarce freesprung 18 jewel 8 adjustment antimagnetic movement with gold pallet fork, Gyromax balance and two Geneva seals. 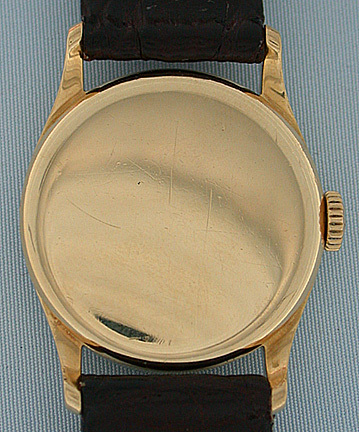 The case with downsloping lugs and original gold crown.